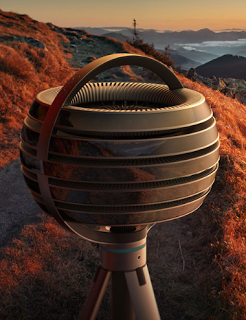 Lytro just posted a sample video from its highly anticipated Immerge 360-degree depth-sensing camera. TBH, I’m not yet impressed with the demo. Here’s why. There are many 360-degree cameras, and even several that are in 3D 360. But they aren’t virtual reality cameras because they have no depth data. If you view a 360 video on a desktop VR headset such as HTC Vive or Oculus Rift, and you stand up or move forward or move backward or move left or right, your perspective will not change. By contrast, if you look at a 3D model such as those in the Oculus Dreamdeck demo, or Valve’s the Lab, you will be able to not only look around but also walk around it. It’s a crucial difference. Without it, there’s no sense of presence (the illusion of feeling like you are in another place). 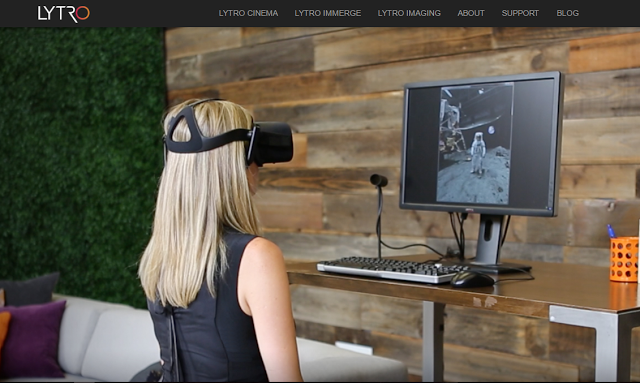 Today, Lytro posted a sample video from the Immerge called “the Moon,” which showcased what the Immerge can do. In the video, you can see a user viewing the video through the Oculus Rift, which has positional tracking and therefore should be able to demonstrate the 6 degrees of freedom in an Immerge video. However, the user never stands up or crouches or moves left or right. At a couple of points, she leans in — at 0:10 in the video and at 0:31 in the video, but the perspective does not seem to change much. In fact, looking at the video, I don’t see evidence of 6 degrees of freedom. I think there are two possibilities: either it doesn’t have that capability yet because it’s only a prototype, or it does have it, but only within such a narrow range that it is almost indistinguishable from regular 360 video. Well, I’m hoping it’s not the latter. I have the Lytro 1st generation camera, and I found that it showed potential but ultimately fell short of its promises. I’m hoping that the Immerge doesn’t likewise fall short of its promised features as well.